Labradorite is a feldspar mineral of the plagioclase group, often characterized by a brilliant change of colors, with blue and green being most common. According to a Canadian Native legend, the Northern Lights were once trapped in the rocks along the coast of Labrador, and then a wandering Native warrior found them and freed most of the lights with a mighty blow of his spear. Some of the lights were still caught within the stone, however, and thus we have the beautiful mineral known as labradorite. Labradorite is the stone of magic, a powerful mineral that allows its wearer to see through illusions and brings insight. 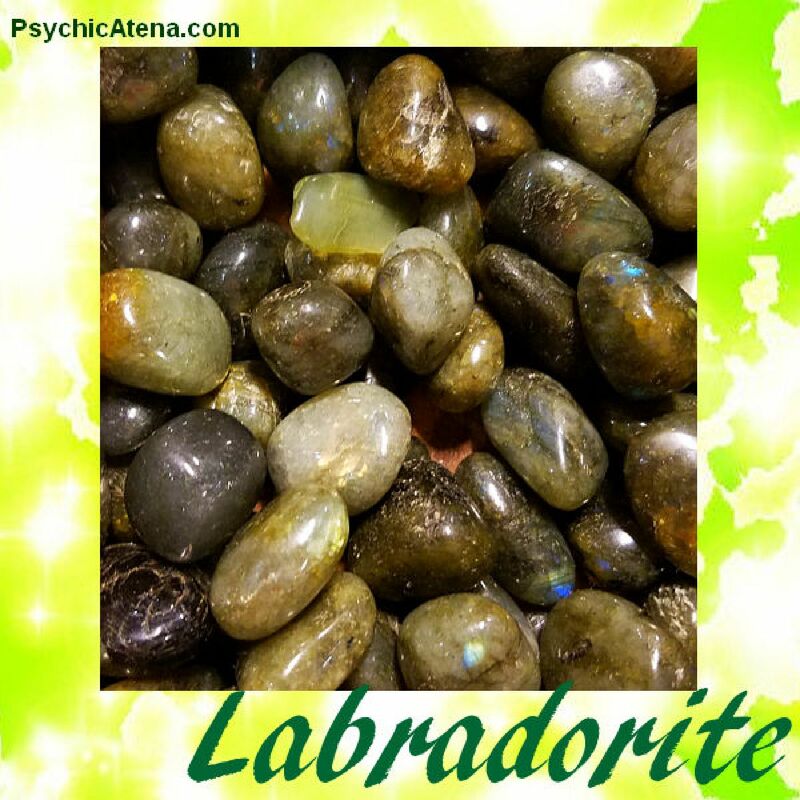 Labradorite is highly regarded by earth spirits and helps aid in communicating with faeries and elemental spirits. It is said to be excellent for strengthening intuition and for providing relief from anxiety, hopelessness and depression, replacing these negative feelings with enthusiasm, self-confidence and inspiration. Labradorite banishes fears and insecurities, and strengthens faith in the self and trust in life's path. Stone of magic, inspires psychic protection, originality, breaking through illusions, reduces stress and relieves anxiety.